Hello world and welcome to the August edition, of my monthly blog and for what will become my last post for quite sometime. This one will be short and sweet, manly for the purpose of a quick goodbye and a thank you. I have done my various radio shows now for nearly 5 years, first there was my involvement with Club 80's on 1 Radio, helping out with the music chart. On a few occasions I sat in for the shows DJ and this then evolved into my own show Synthopia. 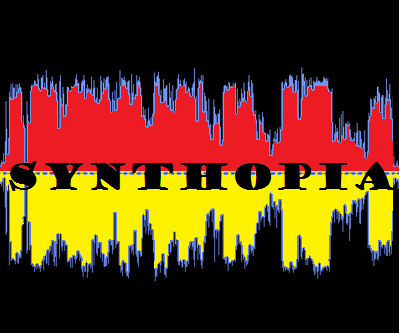 Synthopia quickly gained a reputation of being a show where lots of independent synth artists could get their first airing and the support from bands and artists quickly grew. It was also popular for it's chat box and a massively friendly and supportive fan base grew from that chatbox. Synthopia was not simply Skerat's Synthopia, it was everyone's Synthopia. Not only that it grew to be a fiercely independent platform and I soon moved on from a fixed station and branched out on my own onto Mixlr. After a couple of years I had a short break from Synthopia and returned with Skerat's Eclectic Podcasts, but this was strictly no chat and perhaps lost a lot of it's soul as a result. As does for many things in today's world after about a year or so the demands of life, meant that doing a show was just simply to hard, so at the start of this year I went on an indefinite break. 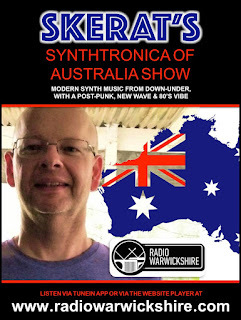 However a couple months later Johnny Normal pitched an idea about an Australian only synth show on Radio Warwickshire and it was too hard for me to pass up the opportunity to promote our local acts. I certainly returned to air, thinking lets see how much time and energy I have to last out and sadly five shows later, I have run out of steam. Now let's give the last show of Skerat's Synthtronica of Australia a descent send off, are you ready to make one last collectively community rally to make it the highest listened to of my shows ever? Then click here and let's send the show off in style. 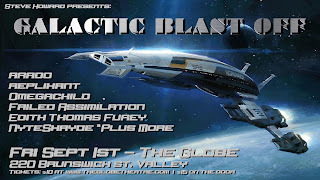 'arado' short for Alternative Reality Active Defense Operations is hosting an evening at the New Globe Theatre, please come as your favourite Alternative Universe character whether that be from Star Wars, Star Trek, Doctor Who, Fire Fly, Red Dwarf, Babylon 5, Fifth Element, Blakes 7,or any of the plethora of others just have fun and thats an order. There will be prizes for best costumes and lots of other surprises. Great mixture of artists and other fun stuff worth dragging yourself away from Netflix for a few hours to enjoy!! 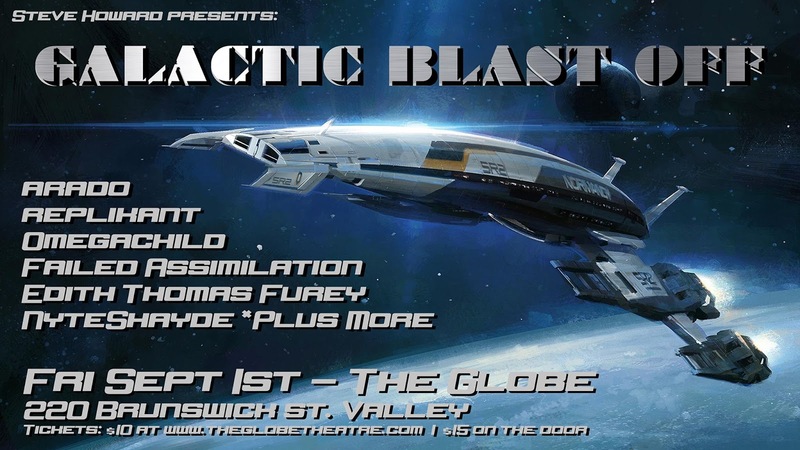 It will be out of this world so come along and explore the Space. 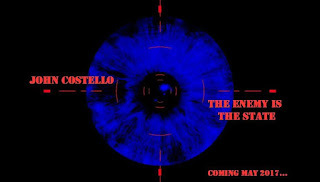 and before I go please remember to check out the last show posibly forever by Skerat, that is of course show 5 of Skerat's Synthtronica of Australia. Also while you're there, maybe even check out some of my older shows. Hello world and welcome to the June edition, of my monthly blog. 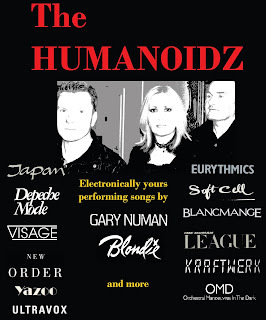 Also for those from the Synthtronica scene in Australia and that includes ex-pats and overseas bands that includes Aussies, remember that this is also a great opportunity for you to get on the show. If your sound fits in the genres of synth-pop, new wave, or post punk and lends itself to a bit of an 80's sound get in touch. I have also widened the rage of what years those songs come from. Previously the range was from 2000 to now, but lets get the world to hear some of the excellent tunes that we have from the past. I have noticed bands are now putting up their material form the 80's and 90's on various portals on the net, so to those bands make sure you get in touch with me to. You can do that by emailing me at skerat@zoho.com , please have your tracks to me for consideration by the 2nd weekend of every month. Make sure though before you do that, perhaps have a listen to the latest show to get a sense of the style and genres of the show. Wir freuen uns auf euch und eine tolle Party. 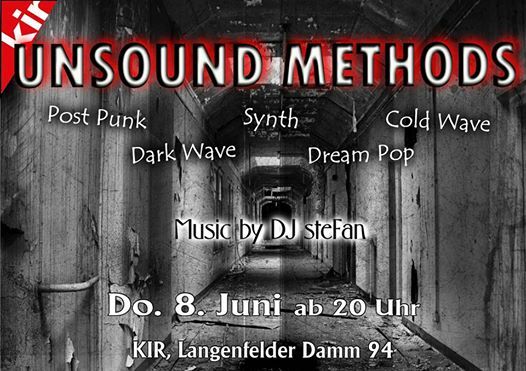 Musik von: DEPECHE MODE / HURTS / DURAN DURAN / COLDPLAY / HUMAN LEAGUE / ERASURE / DAVID GUETTA / ROBBIE WILLIAMS / BLOODHOUND GANG / RED HOT CHILI PEPPERS / GOSSIP / SIMPLE MINDS / PET SHOP BOYS / PETER FOX / REVOLVERHELD / ROBERT MILES / FANTA 4 / KATY PERRY / THE VERVE / THE CURE / MADONNA / DAVID BOWIE / BILLY IDOL / BLONDIE.....und vieles mehr!!! 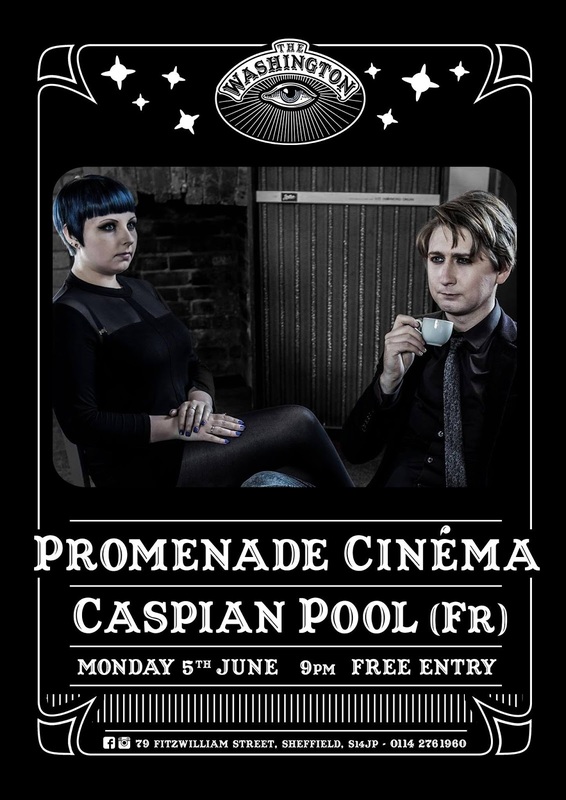 Influenced by the 70's & 80's pioneers of electronic music, together with dramatic film scores and soundtracks, Promenade Cinema create 'danceable darkwave' covering a wide variety of emotions and imagery, paired with unmistakably catchy multi-layered vocals and opulent melodies. 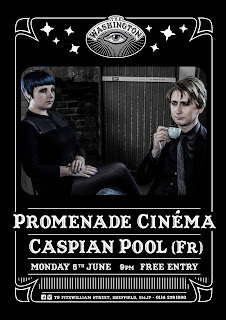 During an unlikely trip to the Caspian Sea in Azerbaijan, Low Bird (voice) and Jimmy Q (guitars, synthesizers, production) decide to set up their group Caspian Pool. Strongly influenced by 80's electro (Space, Ganymed) and pop glam 70's (Roxy Music, David Bowie), the two French people from Annecy mix new wave, glam rock and Italo Disco. 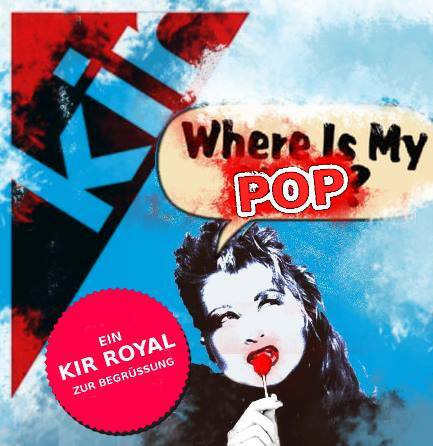 Auf der WHERE IS MY POP!? 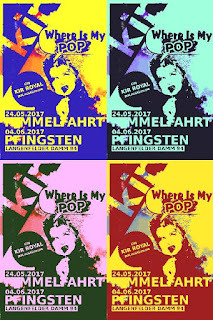 gibt es die besten Popsounds der 80er,90er,2000er und 2017er. 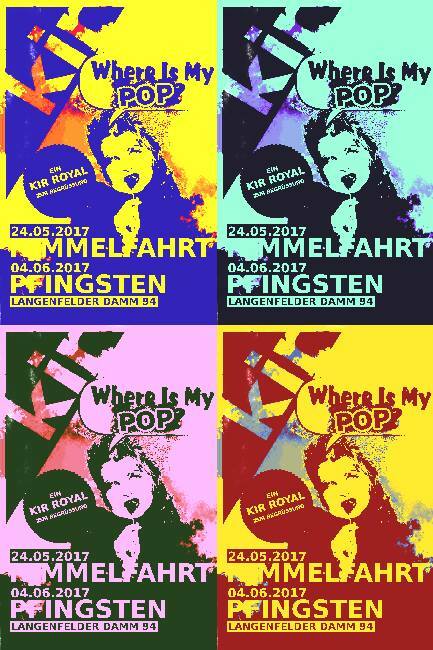 Es erwartet Euch ein bunter Mix der Jahrzehnte mit dem Schwerpunkt POP! U.a. 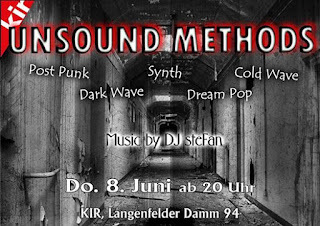 mit Mukke von : DEPECHE MODE / HURTS / DURAN DURAN / COLDPLAY / HUMAN LEAGUE / ERASURE / DAVID GUETTA / ROBBIE WILLIAMS / BLOODHOUND GANG / RED HOT CHILI PEPPERS / GOSSIP / SIMPLE MINDS / PET SHOP BOYS / PETER FOX / REVOLVERHELD / ROBERT MILES / FANTA 4 / KATY PERRY / THE VERVE / THE CURE / MADONNA / DAVID BOWIE / BILLY IDOL / MODERN TALKING/ALPHAVILLE/ BLONDIE/ ROBIN SCHULZ/SNAP!/DR.ALBAN/ACE OF BASE/WHIGFIELD/GIGI D'AGOSTINO/SUGABABES//KERSTIN OTT/FELIX JAEHN/AVICCI......and many many more! 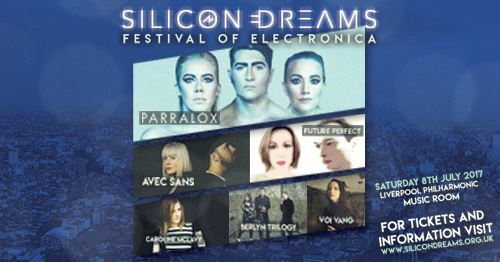 Festival of Electronica from the birth city of British pop. 03/6/17 Gary Numan and the Tubeway Army - Are Friends Electric? You can find all of these brilliant tracks and many more on my ever growing Skerat's Ultimate and Totally Eclectic Playlist, a perfect blend of great classic tracks, in combination with totally new tracks from my shows. It's at over 52 hours of tunes, so that makes for a great shuffle playlist. Now lets move onto my random link of the month. It will not necessarily be music related, but you just might like to check them out each month. Do you hanker for the previous version of an application, or miss one that's been discontinued? Well OldVersion.Com is the site for you, believe me this site is very comprehensive and very well laid out. and before I go please remember to check out show 3 of Skerat's Synthtronica of Australia. Also while you're there, maybe even check out some of my older shows and on the last weekend of June catch show 4 of Skerat's Synthtronica of Australia on Radio Warwickshire. The show will be on Saturday the 24th at these times. London 10:00 PM, Vancouver 2:00 PM, New York 5:00 PM and Melbourne Sunday the 25th at 7:00 AM. Well that's it for this month, thank you all for your continued and excellent support and until the first Sunday of next month this is Skerat over and out. Hello world and welcome to the May edition, of my monthly blog. For those of you who read last months blog you will know that I did a pilot show for Radio Warwickshire, called Skerat's Synthtronica of Australia. Well the good news is, that show officially became a monthly show as of last weekend and will now continue to air on the last weekend of every month. Don't worry if you missed the show you can catch up with it right here. Of course as the title suggest the show is all about Synthtronica music from Australia and believe me there is plenty. This means that you are going to be treated to a lot of new artists and music, that you have never heard of before. Now this also means that this is a really great opportunity for those of you from the synthtronica scene in Australia, to get on the show. 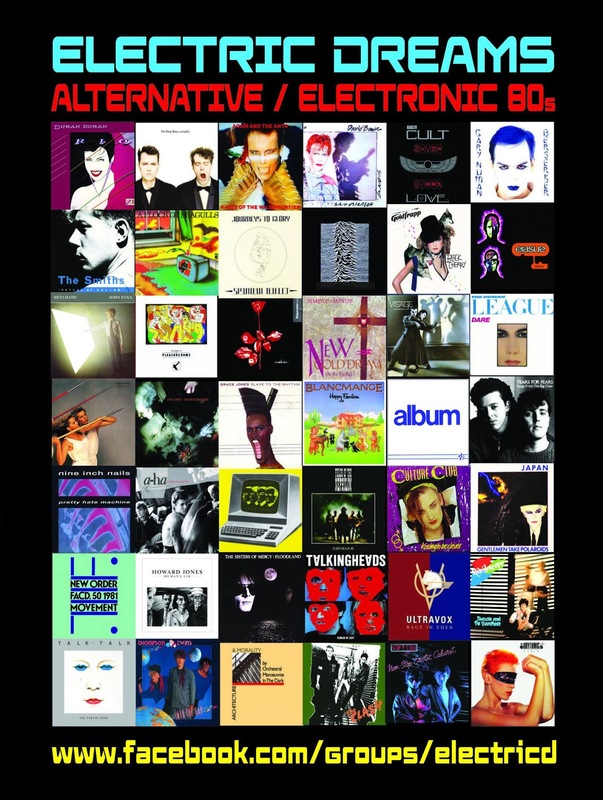 Therefore yes I want to hear from you, so if your sound fits in the genres of synth-pop, new wave, or post punk and lends itself to a bit of an 80's sound get in touch. I'm also going to widen the rage of what years those songs come from. Previously the range was from 2000 to now, but lets get the world to hear some of the excellent tunes that we have from the past. I have noticed bands are now putting up their material form the 80's and 90's on various portals on the net, so to those bands make sure you get in touch with me to. You can do that by emailing me at skerat@zoho.com , but before you do that perhaps have a listen to the latest show to get a sense of the style and genres of the show. For a short time during 1985 and 1986 Shanghai was in every Swedish pop magazine and in every teen girl's heart. But apart from that they also released a bunch of great pop songs. With "Ballerina - The Tribute to Shanghai" we will make those song live again. 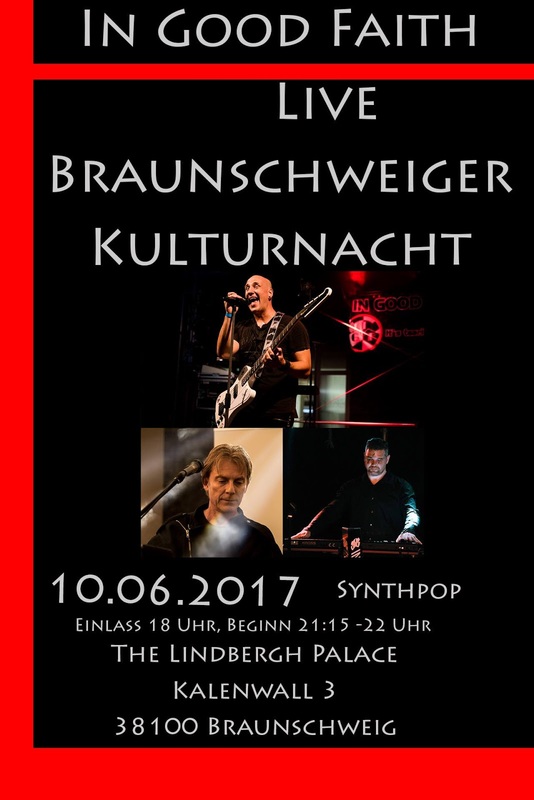 AN EVENING THAT WILL FEATURE AN ECLETIC MIXTURE OF ROCK AND ELECTRONIC ACTS. A four piece rock n roll band. 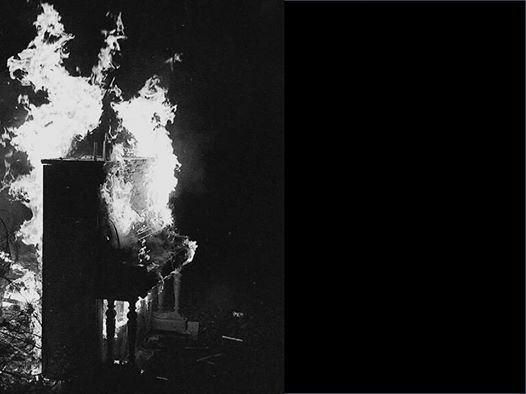 An electronic band with a dark, synth driven sound influenced by the likes of Depeche Mode and New Order. Deep, thought provoking lyrics are integral. A female fronted, four piece alternative rock band. Marita Ryan is a singer/songwriter who writes within the electronic rock/electronic indie genre. A Melbourne based producer, instrumentalist and singer. Bringing together blissed-out rhythms, warm soulful tones and epic soundscapes. 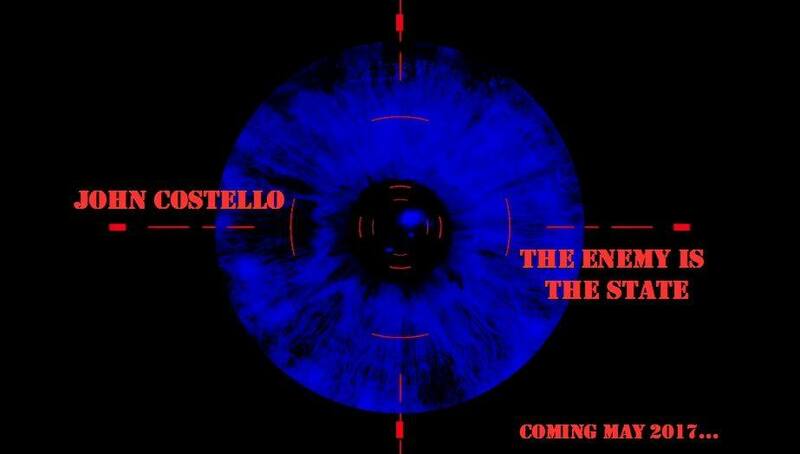 The debut electronic art pop album from John Costello. Limited edition of 100 numbered CDs including bonus disc of selected cover versions 2006-2016 (the covers will not be available digitally). Over 120 minutes of music! You can find all of these brilliant tracks and many more on my ever growing Skerat's Ultimate and Totally Eclectic Playlist, a perfect blend of great classic tracks, in combination with totally new tracks from my shows. It's at over 50 hours of tunes, so that makes for a great shuffle playlist. Now lets move onto my random link of the month. It will not necessarily be music related, but you just might like to check them out each month. This month however is music related. Do you like me get totally bamboozled by all the genres out there, these days. Well Every Noise is a perfect site to help you out. Just click on the genre and here a sample of the music style. and before I go remember to check out show 2 of Skerat's Synthtronica of Australia and please make sure you check it out. Also while you're there, maybe even check out some of my older shows. Well that's it for this month, thank you all for your continued and excellent support and until the first Sunday of next month this is Skerat over and out. Hello world and welcome to blog 27, of my monthly blog. It's now over two months since I ended my monthly show Skerat's Eclectic Podcasts. Of course in my last blog I mentioned the mixed emotions of giving up the show, I had to balance out the volume of work and the free time I had over the falling show listening numbers and ultimately I made the hard decision to hang up the mic. Now just when I really thought I was potentially totally finished doing shows ever again, I suddenly had a surprise and very welcome message from my good friend and a very good friend to many of us Johnny Normal. Johnny suggested that I might like to think about giving a show a go on Radio Warwickshire, perhaps a show about the local scene in Oz. Now not only was I thrilled to be asked by Johnny, as he certainly is an icon of the scene, but what he suggested was also a great idea. Now as many of you would now know I did a pilot of that show last weekend and it was called Skerat's Synthtronica of Australia The Pilot certainly went well. I have flagged to Johnny today that I'm keen to have a go and at monthly show, so keep an eye out for any news on my various pages. May I also say thank you to Clay Lowe who runs radio Warwickshire for also giving me the opportunity to broadcast on his excellent station. Okay now from what's happening with me, lets move onto what's coming up for the scene in the next month. will be playing the mix of Alternative 80’s/New Wave/New Romantic/Goth/Industrial and Punk we have been playing for over 20 years now. and many others. come and join us! All in all there'll be 20 new cover versions, and the full tracklist will be updated here in this event. 27/03/17 Missed - Slack Skerat!!! and remember the pilot show of Skerat's Synthtronica of Australia and please make sure you check it out. Also while you're there, maybe even check out some of my older shows. Well that's it for this month, thank you all for your continued and excellent support and until the first Sunday of next month this is Skerat over and out.